Phonographic Copyright (p) – Andrew W.K., Inc. 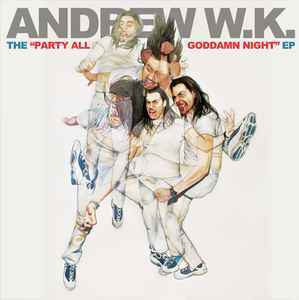 Copyright (c) – Andrew W.K., Inc. Published By – Mercury Songs Ltd. Keyboards – Aleister X, Andrew W.K. Japan exclusive EP. Originally slated for release on March 30, 2011, the CD release ended up being postponed due to the 2011 Tōhoku earthquake and tsunami (digital release was not affected by this). Artwork still shows the original date. Comes with an additional second booklet of the lyrics in English and Japanese. Track 7 is listed as a bonus track on the obi.